Colville got another shutout win on Thursday, taking down winless Medical Lake 1-0 in a shootout. The two teams combined for 24 shots in the game, 14 on goal, without a score during regulation or two overtime periods, leading to the shootout. The Indians got shootout goals from Michaelson, Tinkaham, Sarber, and Zarate, with Zarate’s goal being the ultimate game winner. Colville (2-0, 1-0) next takes on Newport at home March 29. The game starts at 4 p.m. The Lakeside Eagles overwhelmed Newport in a home win Thursday, 12-1. The Eagles put up ten runs in the first two innings, and Megan Isayev pitched the full game, getting eight strikeouts and allowing just the one run in the 2nd inning. Isayev also added two hits, one of them a triple, to help lead the offense. The Kettle Falls Bulldogs played a pair of road games Thursday, taking on Northwest Christian, but fell in both ends of the doubleheader 10-2 and 14-3. Coach Tom Skok may be the first to take advantage of a class-2B rule that allows eighth graders to play on high school teams. 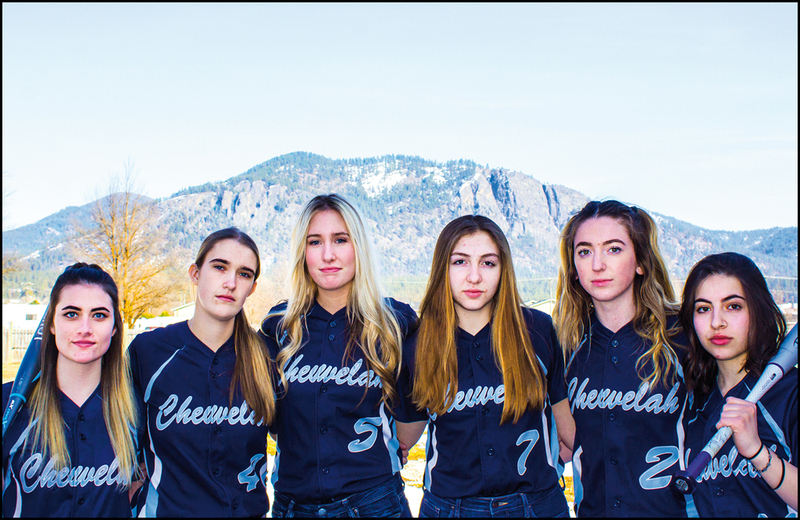 The Cougar coach has been meeting with six eighth grade girls for early morning workouts before school, looking to the possibility that he will be able to add them to his JV softball roster when their junior high basketball season ends. With only 14 players turning out this year, he will need all of the younger girls to be able to field a JV team. It will not take long for the Chewelah Cougars to discover how competitive they are within the northern division of their new league. The defending division champion St. George’s Dragons will visit the Barbour Complex on March 29 for a doubleheader to open conference action. And, with the field still blanketed with a foot of snow, this may be the first home game of the season. 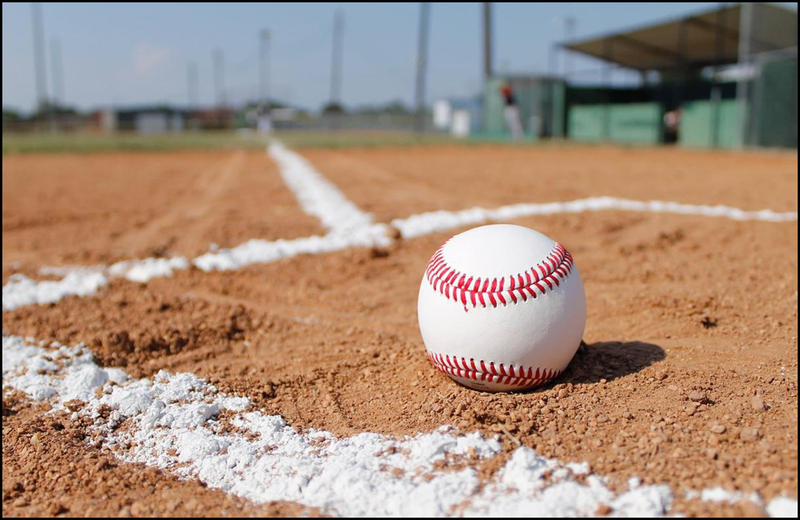 Two nonleague games with Colville and Deer Park have already been cancelled, with games against Riverside, East Valley, Colville and Springdale in jeopardy this week because of field conditions. Coach Sawyer Bardwell has had 22 ballplayers practicing in the middle school gym and at the Body Shop fitness center for the past two weeks, and early estimations indicate that the Cougars will be strong in all positions, but they have yet to be outdoors. Along Main Ave. in Chewelah after the daily hustle has died down, and school has gotten out, they work on their craft. 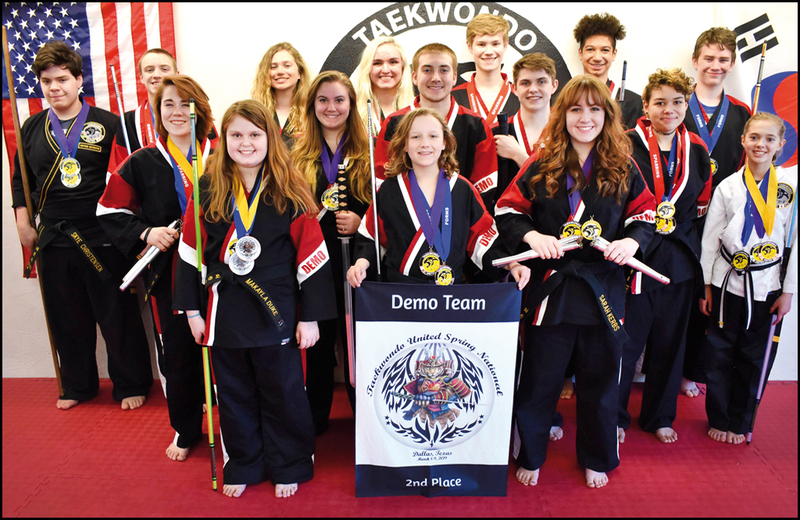 On some weekends when it would probably be easier to go to the lake or hang out with friends, they’re putting in their reps.
Away from the martial arts studio, they’re practicing at home, in private, working on a form of self defense that has been developing for centuries, beginning in Korea. 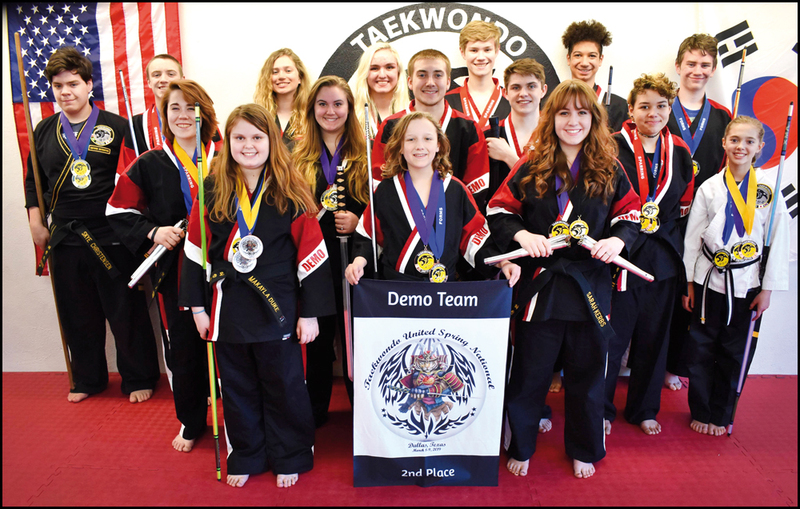 Bradley’s Taekwondo has been a school in Chewelah since 2008, and its ranks have steadily grown. This year’s traveling squad was the school’s biggest, and there have been kids that have trained for years. The Lakeside Eagles started the season with a bang, downing 3A Cheney in nonleague action Wednesday by a score of 1-0. Jeff Friedman scored the winning goal for the Eagles. Friedman scored in the 44th minute. Cheney’s record dropped to 3-2 on the year while it was the first game of the season for Lakeside. St. George’s jumped out to a 9-0 lead and never looked back in an 11-9 nonleague victory over NEA League foe Lakeside on Wednesday. The Dragons got two doubles from Xander Workman while Jaron Spaekman added a three-run double in second inning. St. George’s finished with eight hits and Lakeside also had eight hits. 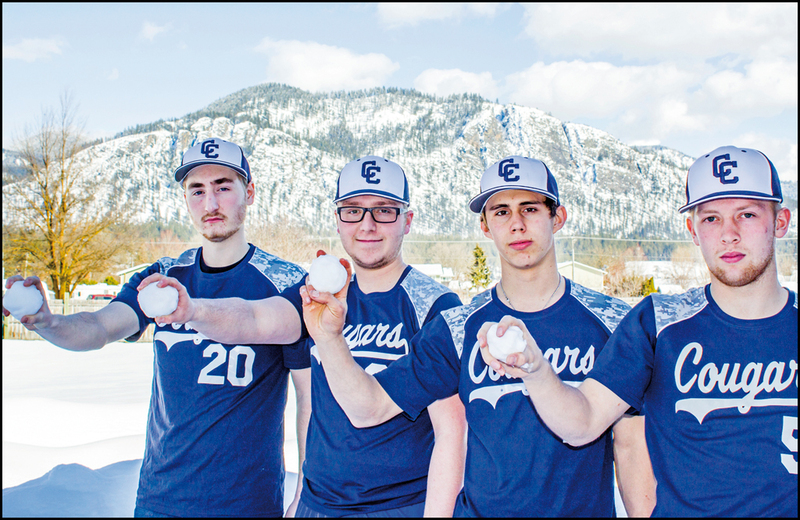 Colville pitched a clean slate against the Crusaders in a dominant performance that saw the Indians outshoot the Crusaders 24-2 and pick up a 7-0 victory. Five different players scored goals for Colville, who took a 5-0 lead into the half on goals from Sarber, Neidhart, Sadeo, and a pair of goals from Michaelson. Zarate got the scoring started in the second half for Colville before Neidhart added his second goal to round out the scoring. Michaelson also added an assit in the match. Colville travels to Medical Lake March 28 for a game against the Cardinals. First kick is at 4 p.m. The Wellpinit softball team got off to a slow start to begin the 2019 season, falling in a road doubleheader to Almira-Coulee-Hartline 26-0 and 34-3 in games shortened by the 10-run rule. The first game saw a complete game thrown by Wellpinit’s Williams, but that was the lone brightspot in the game as the offense was held hitless and the team committed six errors in the game.